Kristin Kohn has tried it all: running, yoga, strength training, barre, and beyond. But something happened after she discovered Pilates, which is the approach to fitness founded by Joseph Pilates that focuses on controlled movements that build a strong core and improve overall strength and movement. Suddenly, she wasn’t looking for the next new fitness challenge. Pilates became the foundation of her fitness regimen. “I like Pilates because it’s a practice you can commit to for life,” says Kohn, whether you’re young and looking for a great strength program or older and hoping to feel stronger during everyday activities. 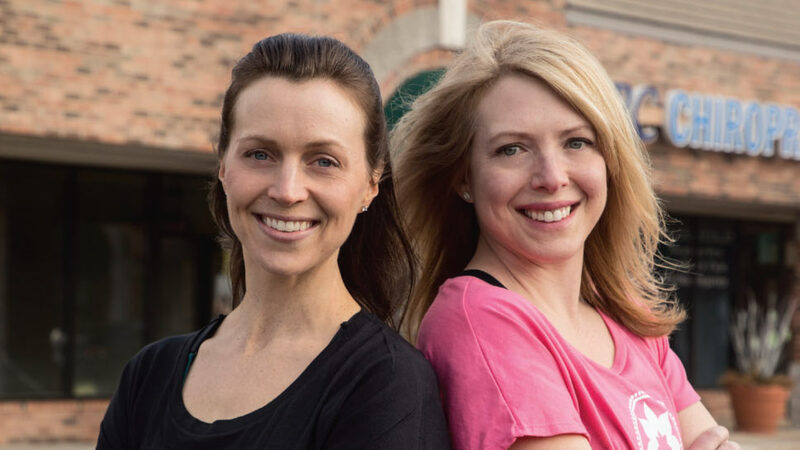 Kohn is so committed to the Pilates method, she has invested in her own studio, Club Pilates Westmont, which opens this month in the St. James Crossing retail center at Ogden and Route 83. The new studio offers a variety of classes from beginner to advanced, and all are Reformer-based. But Club Pilates also features a variety of fusion classes, incorporating barre, TRX, and other fitness practices alongside the Reformer. “I’ve always been a fitness enthusiast, and I find the most motivation in group fitness classes,” Kohn says. And that’s also what’s different about Club Pilates: group classes are offered for up to 12 participants and led by comprehensively certified instructors as well as one-on-one instruction. The opening of a new studio is the start of a big new chapter for Kohn, who left the working world to stay home with her twins when they were born nine years ago. The University of Chicago MBA grad and Hinsdale resident held positions in finance, marketing, and operations during her career, and owning her own business was always something she hoped to do when she was ready to return to work. “I had a desire to own my own schedule so I could have the flexibility I wanted,” she says. It’s been a long process to get to opening day, and Kohn is ready to see her hard work finally become a reality. “I’m really excited to open the studio and meet the members I’ve been talking to on the phone the past few months,” she says. Club Pilates Westmont will have a soft opening weekend the second full weekend this month with introductory classes, activities, retail sales, and more to introduce people in the area to a fitness method she believes so strongly in. Member classes begin April 16. Kohn learned soon after starting Pilates that it’s a practice for everyone—young or old, beginner or experienced, physically fit or just starting out. And she loves the Club Pilates experience because it’s an environment that’s inviting, affordable, and non-intimidating. Club Pilates Westmont is located at 810 E. Ogden Avenue in Westmont. To learn more about class offerings and membership opportunities, call 630-538-7235 or visit clubpilates.com/westmont.